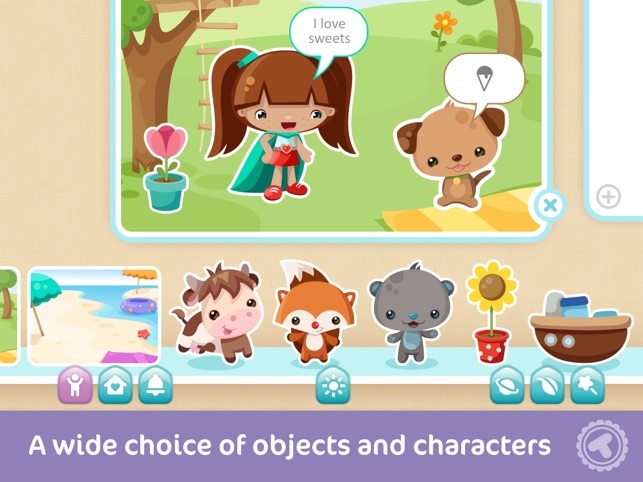 Toonia Storymaker is a fun educational toy that encourages children to explore their imagination and express themselves through creating their own illustrated stories. Choose your world and your characters, move them around, change their color, size, posture or emotion, and use text or symbols to express what they are saying. It's like lego bricks for illustrated stories. 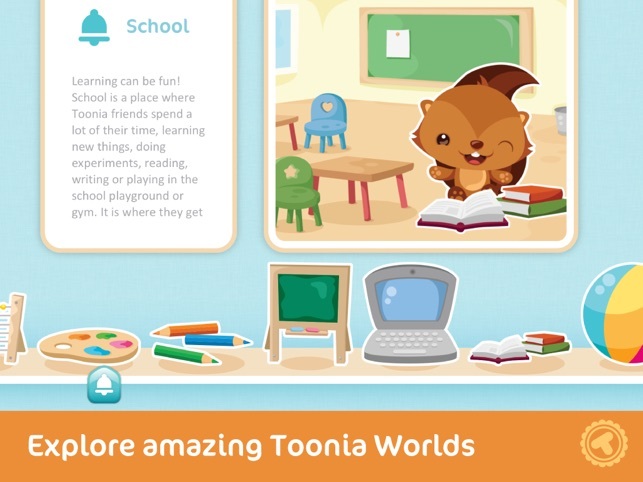 From fairy tales to adventures in space, Toonia Storymaker allows for endless possibilities and hours of fun for both kids and parents. SUITABLE FOR KIDS AGE 4 AND UP, but don't hesitate to play with it yourself. 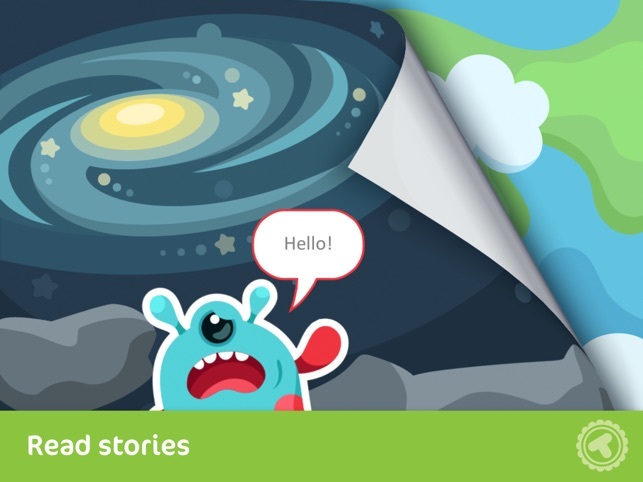 You can create your own stories to read to your children or grandchildren. 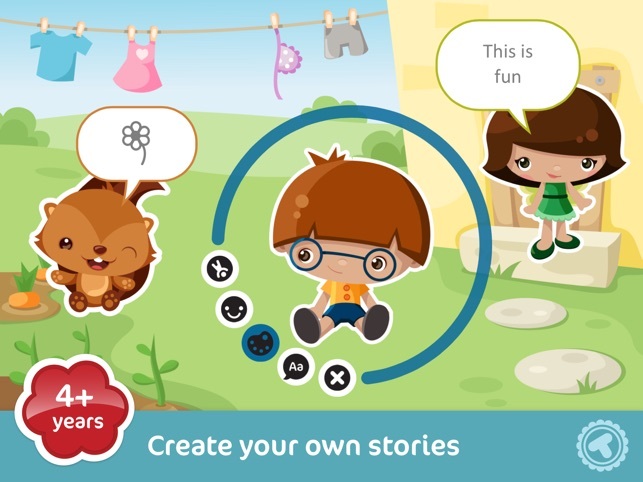 Toonia Storymaker is a playful introduction to visual storytelling, increasingly important and sought after skill in a wide range of areas as well as in every day life. Children are naturally drawn to stories and cartoons, but too often they are only allowed to consume what grownups prepared for them. How will they ever learn to tell their own stories if we don't let them try? To become a pianist you can't just listen to the music - you need to play the piano. And to become a great storyteller there is Toonia Storymaker. 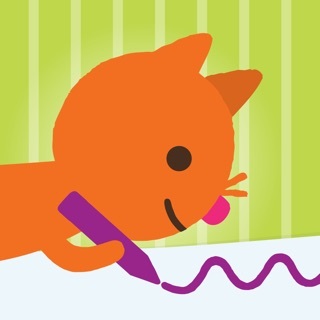 • Change characters' colors, size, posture and emotion. Use text or symbols to express what they are saying. 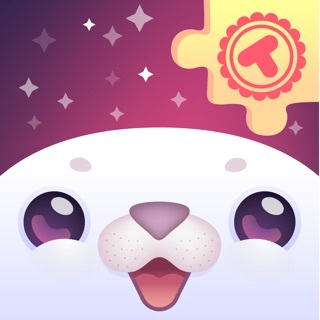 We are dedicated to creating premium apps for children that are educating, amplifying creative skills, and providing unique ways for kids to express themselves. 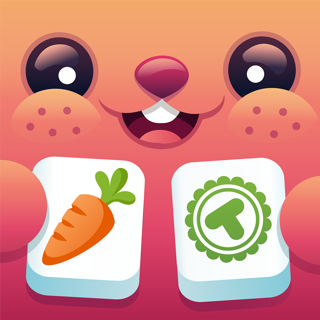 This update includes minor bug fixes and is ready for iOS 8. Also check Toonia Creativity pack and complete the bundle with Toonia Cardcreator, and Toonia Cardcreator: Holidays. 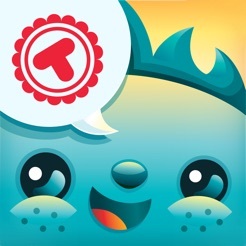 Please rate Toonia Storymaker or reach out to feedback@tooniaapps.com. Thank you for using our app. 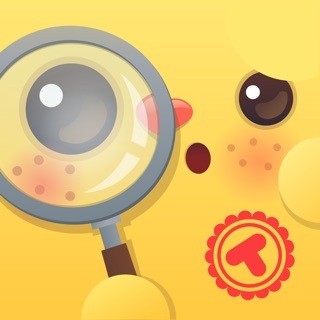 Just purchased and downloaded for my kids only to find that most of the app is in other languages and my 6 year old cant figure out how to use it. Only a few parts of this are in English. The rest seems to be in French and possibly German. Unless your kid can read other languages, I’m not sure this is the app for you. 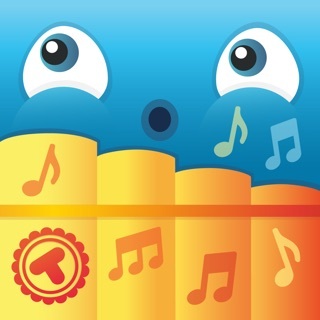 I love this app! So worth 2.99! It is so magnificent to write the story's! Love it! 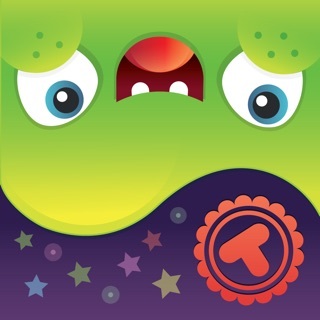 I have had this app for like only 30 minutes and have made over 6 story's! Amazing for your inner-child or your own creative kid! 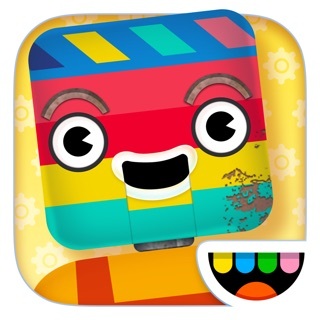 This is a must have creative cartoon making app for every parent with creative kids, which means - every parent, all kids are creative! Such a beautiful and easy-to-use interface and I just love the symbol keyboard for the speech baloons!